Could you imagine understanding Bart Ehrman’s theology to the point of agreeing with him or refuting him without reading what led to this kind of statement, ‘In early Christianity, the views of Christ got “higher and higher” with the passing of time, as he became increasingly identified as divine’ (Ehrman 2014a:353)? However, that’s not what one fellow thought as he started a thread on a Christian forum on the Internet. He asked: Does this sound like a reasonable approach for Christians to deal with opposition? 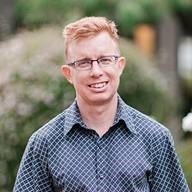 He’s a doubting Thomas who weighs arguments and liberal opposition to Christians comes across as ‘No Duh I could have come up with that one!’ He considers that he could have invented that objection and he doesn’t need the arguments of liberals as he can come up with a good enough response without reading them. The arguments most often boil down to supernaturalism vs naturalism and the liberal considers the case closed, but the Christian has lots more evidence to prove and they need lots of technical skills. It is much harder to defend the Bible than to attack it, so why allow the liberals the time of day to defend their view? Why pay money to buy liberal material when they have a ‘home field advantage’ over Christians? The liberal plays reckless offense while the Christian is constantly on the defence. I seek conservative scholars who cause some anger for conservatives as they seem to be critically analysing the data but they still try to defend supernaturalism. So, why should he pay money to read ‘experts’ attack the Bible when the skill is in defending it. He asked if he made sense or was he delusional? Should he get more balance into his library? Fair and honest conservative scholars properly represent the arguments of skeptics anyway. 1. When Paul was in the midst of the Areopagus (Mars Hill), he had done his research on alternate religions in the area: ‘I perceive that in every way you are very religious … observed the objects of your worship …found also an altar with this inscription “To the unknown God.” What therefore you worship as unknown, this I proclaim to you…’ (Acts 17:22-23 ESV). He ‘read’ the enemy before he proclaimed the truth. 2. Especially when it comes to Easter and Christmas seasons in Australia, the people who will be called upon by secular media for articles or to comment on these two celebrations will be radical liberals such as John Shelby Spong, the Jesus Seminar fellows, Bart Ehrman, liberal Uniting Church or Anglican clergy/scholars, etc. The evangelicals are not the ones given priority for comment and articles. To be able to respond to these liberals, whether by articles or in letters to the editor, I need to know what the enemy teaches. When Spong was in our capital city of Canberra in 1991, an article about him was published in the Canberra Times by Robert Macklin, ‘The Gospel truth?’ (Aug 4, 1991) which focussed on Spong’s attack on fundamentalism. I was pastor of an evangelical church in the ACT at the time and I asked for a right of reply which the CT published as, ‘The Gospel Distortion: A reply to John Shelby Spong‘ (Aug 11, 1991). I would not have known the details of Spong’s heresy without reading him. I have a few of his books in my library. I have since reviewed his book, A New Christianity for a New World (2001) in Spong’s swan song — at last! Exposure to Spong’s false teaching has led to these further articles: Spong’s deadly Christianity and John Shelby Spong & the Churches of Christ (Victoria, Australia). I find it always helpful when critiquing a liberal scholar or teacher of a false gospel to quote from his or her material. It affirms our own credibility. If historical scholarship is not used to discover absolutes or certitudes, but only by its best reconstruction to arrive at a decision ‘beyond a reasonable doubt’ (Crossan 1995:x), how does a scholar decide between divergent conclusions concerning aspects of the historical Jesus by various scholars? It is important to note Crossan’s perspective regarding those who offer a contrary opinion: In quoting ‘secondary literature, I spend no time citing other scholars to show how wrong they are’. Instead, he only quotes those who ‘represent my intellectual debts’ (Crossan 1991:xxxiv; emphasis in original). Why would he want to preserve his opinion and scholarship and retain it in-house? Is there a possible presuppositional bias coming through? So Crossan only wants to quote from fellow liberals who represent his ‘intellectual debts’. I do not want to be among evangelicals who only quote each other. There is a substantial amount of good scholarship among evangelicals, but I do not choose to read them only. That would not be good research nor enable me to give a penetrating, but balanced, response. This person on the Christian forum stated that ‘Bart Ehrman in all honesty sounds like a 10 year old to me’. But that’s not how he sounds to the general populace or the Christian laity when he shows up in the mass media. The media doubters love his kind of objections to the Bible. That’s why I consider that if I’m going to refute Ehrman, I need to know his material and the arguments he uses so that I can refute them or agree with them in the media and among friends or enemies. When Ehrman is in the media, do you take advantage of the ‘comments’ or ‘letters’ sections to challenge and refute him? In early Christianity, the views of Christ got “higher and higher” with the passing of time, as he became increasingly identified as divine. Jesus went from being a potential (human) messiah to being the son of God exalted to a divine status at his resurrection; to being a preeminent angelic human being who came to earth incarnate as a man; to being the incarnation of the Word of God who existed before all time and through whom the world was created; to being God himself, equal with God the Father and always existent with him. My own personal beliefs about Jesus moved in precisely the opposite direction. I started out thinking of Jesus as God the Son, equal with the Father, a member of the Trinity; but over time, I began seeing him in “lower and lower” terms, until finally I came to think of him as a human being who was not different in nature from any other human being. The Christians exalted him to the divine realm in their theology, but, in my opinion, he was, and always has been, human. As an agnostic, I now think of Jesus as a true religious genius with brilliant insights. But he was also very much a man of his time. And his time was an age of full-throated apocalyptic fervor (Ehrman 2014a:353-354). These are hardly the words of a 10-year-old skeptic who doubts the nature of the God-man Jesus. It is a view of Jesus that needs a full-blown and thoughtful rebuttal. What is happening in the research and thinking of this eminent scholar who is debunking the core of Christianity – the divinity of Jesus? This is not child stuff. This is serious business that requires a full-blown apologetic for a response. Thankfully, one evangelical lecturer in theology, Dr Michael Bird, at the Anglican Ridley College, Melbourne was prepared to expose Bart Ehrman’s errors in, ‘How God became Jesus: Bart Ehrman gets it wrong, again’ (ABC Religion and Ethics, 16 April 2014). Whereas Ehrman likes to point out the ad hoc and adversarial context in which beliefs about Jesus evolved in the course of the first four centuries of the Christian era, Charles Hill demonstrates the remarkable coherence of “orthodox” views of Jesus and their rootedness in the New Testament. Hill shows that what became Christian “dogma” about Jesus was not merely a knee-jerk reaction to various debates going on inside the church. So despite the fact that Ehrman’s book is genuinely informative in places, my co-authors and I think he gets many things wrong – seriously wrong. Yet there is no doubt that many people will lap up the book because of its putative “insider” perspective. Ehrman describes how he once believed that Jesus was God and later came to have a very human and even low view of Jesus. He gives readers the inside scoop on the historical problems and theological paradoxes that traditionalist Christians hope you never discover. Although Ehrman claims that he is simply not interested in whether Jesus really is God, preferring to limit himself to the matter of history, I suspect otherwise. Ehrman, implicitly at least, is an evangelist for unbelief, enabling sceptics to keep their disgust with Christianity fresh, while trying to persuade believers that their cherished beliefs about Jesus are a house of historical straw. For all of his failings, Ehrman has at least done Christians one favour. He has challenged us to ask afresh, “Who is Jesus?” While some will say “legend,” some will say “prophet,” some will say “rabbi.” There will be still others who, like Thomas leaving his doubt behind when he encountered the resurrected Jesus, and could not but exclaim, “My Lord and my God!” (Michael Bird, How God became Jesus, 16 April 2014). Those who are building defences know the strengths and weaknesses of the enemy who is attacking, the adversary who is on the offensive. They know the enemy. Surely this is what the Bible teaches! Hosea said it in Hosea 4:6: ‘My people are destroyed for lack of knowledge; because you have rejected knowledge, I reject you from being a priest to me’ (ESV). Finally, be strong in the Lord and in the strength of his might. 11 Put on the whole armor of God, that you may be able to stand against the schemes of the devil. 12 For we do not wrestle against flesh and blood, but against the rulers, against the authorities, against the cosmic powers over this present darkness, against the spiritual forces of evil in the heavenly places. 13 Therefore take up the whole armor of God, that you may be able to withstand in the evil day, and having done all, to stand firm. 14 Stand therefore, having fastened on the belt of truth, and having put on the breastplate of righteousness, 15 and, as shoes for your feet, having put on the readiness given by the gospel of peace. 16 In all circumstances take up the shield of faith, with which you can extinguish all the flaming darts of the evil one; 17 and take the helmet of salvation, and the sword of the Spirit, which is the word of God, 18 praying at all times in the Spirit, with all prayer and supplication. To that end keep alert with all perseverance, making supplication for all the saints (Eph 6:10-18 ESV). Beloved, do not believe every spirit, but test the spirits to see whether they are from God, for many false prophets have gone out into the world. 2 By this you know the Spirit of God: every spirit that confesses that Jesus Christ has come in the flesh is from God, 3 and every spirit that does not confess Jesus is not from God. This is the spirit of the antichrist, which you heard was coming and now is in the world already (1 John 4:1-3 ESV). There is wisdom in applying this message from the Book of Proverbs: ‘The way of a fool is right in his own eyes, but a wise man listens to advice’ (Prov 12:15 ESV). Ehrman, B D 2015. After the New Testament: A Reader in Early Christianity , rev. New York: Oxford University Press. Ehrman, J D 2014a. How Jesus Became God: The Exaltation of a Jewish Preacher from Galilee. New York: HarperOne. Ehrman, B D 2014b. The Text of the New Testament in Contemporary Research: Essays on the Status Quaestionis , 2nd rev ed . Leiden, Netherlands: Brill. Ehrman, B D 2013. The Bible: A Historical and Literary Introduction. New York : Oxford University Press. Ehrman, B D 2012a. Did Jesus Exist? The Historical Argument for Jesus of Nazareth. New York : HarperOne. Ehrman, B D 2012b. Forgery and Counterforgery: The Use of Literary Deceit in Early Christian Polemics. New York: Oxford University Press. Ehrman, B D 2011a. The Orthodox Corruption of Scripture: The Effect of Early Christological Controversies on the Text of the New Testament . New York: Oxford University Press. Ehrman, B D 2011b. Forged: Writing in the Name of God—Why the Bible’s Authors Are Not Who We Think They Are. New York : HarperOne. Ehrman, B D 2009a. Jesus Interrupted: Revealing the Hidden Contradictions in the Bible (And Why We Don’t Know About Them). New York : HarperOne. Ehrman, B D 2009b. God’s Problem: How the Bible Fails to Answer Our Most Important Question – Why We Suffer . New York: HarperOne. Ehrman, B D 2006. Peter, Paul, and Mary Magdalene: The Followers of Jesus in History and Legend . New York: Oxford University Press. Ehrman, B D 2005a. Lost Christianities : The Battles for Scripture and the Faiths we Never Knew. New York: Oxford University Press. Ehrman, B D 2005b. Misquoting Jesus: The Story Behind Who Changed the Bible and Why. New York : HarperOne. Ehrman, B D 2003. Lost Scriptures: Books that Did Not Make It into the New Testament . New York: Oxford University Press. 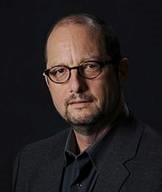 Some of Bart Ehrman’s publications include Ehrman (2015; 2014a; 2014b; 2013; 2012a; 2012b; 2011a; 2011b; 2009a; 2009b; 2006; 2005; 2003). Christian Forums.com, Theology, Christian Apologetics, ‘Do I have a “flawed” library of study material?’ Dirk1540, 30 September 2015. Available at: http://www.christianforums.com/threads/do-i-have-a-flawed-library-of-study-matierial.7910228/ (Accessed 1 October 2015). Copyright © 2015 Spencer D. Gear. This document last updated at Date: 11 February 2019. This entry was posted in Apologetics, Thoughtful Christianity, Worldview on 31 October 2015 by spencer. Some Calvinists believe Arminians are in error (see below for an example). Others go much further to accuse the Arminian of promoting heresy. There is a blog called, ‘Arminian heresy’, and another sermon audio series, ‘Arminianism is heresy, Calvinism is the Gospel’. Another states this of Arminianism: ‘Is Arminianism a damnable heresy? Yes. The false doctrines of conditional election, universal atonement, partial depravity, resistible grace, and the possibility of a lapse from grace originate in the pit of hell with the father of lies (Jn. 8:44). They are contrary to Scripture and worthy of condemnation. This is a serious matter’. The May 30  document, “A Statement of the Traditional Southern Baptist Understanding of God’s Plan of Salvation,” aims “to more carefully express what is generally believed by Southern Baptists about salvation.” But both Southern Baptist Theological Seminary president Albert Mohler and George W. Truett Theological Seminary professor Roger Olson, in separate blog posts, said that parts of the document sound like semi-Pelagianism, a traditionally heretical understanding of Christian salvation. Therefore, there are theological sling shots being flung by both Calvinists and Arminians at each other with the rock of ‘heresy’ or ‘error’ included. This is an unfortunate overstatement, in my view. Here’s a summary comparison of the Arminian vs Calvinist core doctrines: ‘An Outline of the FACTS of Arminianism vs. The TULIP of Calvinism’. 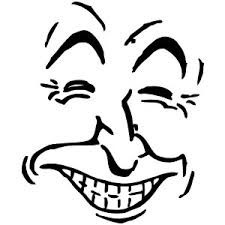 On an Internet Christian forum, I was engaged in a discussion of Arminianism and Calvinism. My views are closest to what is known as Reformed or Classical Arminianism. Arminian: ‘If it’s not a promotion of Calvinism, I don’t get a passing grade’. Calvinist: ‘In other words, we don’t tolerate error’. Calvinist: ‘Any flavor of Arminianism is error’. Arminian: ‘A priori speaking. So should Arminian theology on this forum only be discussed under Unorthodox Theology? If so, why are the moderators [on Christian Forums] not moving Arminian interpretations to Unorthodox Theology? Perhaps they don’t see it as you see it’. Calvinist: ‘It’s orthodox and faulty’. Calvinist: ‘It falls within the pale of orthodoxy. Arminian: ‘How can it be faulty and in error but orthodox. Those kinds of statements, in my understanding, create an oxymoron’. Calvinist: ‘Life is so unfair’. Arminian: ‘Please don’t distort what I said. It was griff who stated: ”Any flavor of Arminianism is error’ and I challenged the moderators on this statement. Isn’t that OK on CF [www.christianforums.com]? This is more than expressing an opinion. It is directly stating that ”Any flavor of Arminianism is error‘. Calvinist: ‘No more than we should examine you. You think Calvinism is in error, and it falls within the pale of orthodoxy’. Arminian: ‘Back at #469 you stated, ‘Any flavor of Arminianism is error‘ (emphasis added). You did not say that, ‘In my opinion any flavor of Arminianism is error’. On this forum I would not say ‘Calvinism is error’. I do not support some of its teaching but I would never say (my emphasis) on this forum that any flavour of Calvinism is error’. It is interesting that you now say ‘Pedobaptists are in error in my opinion‘. 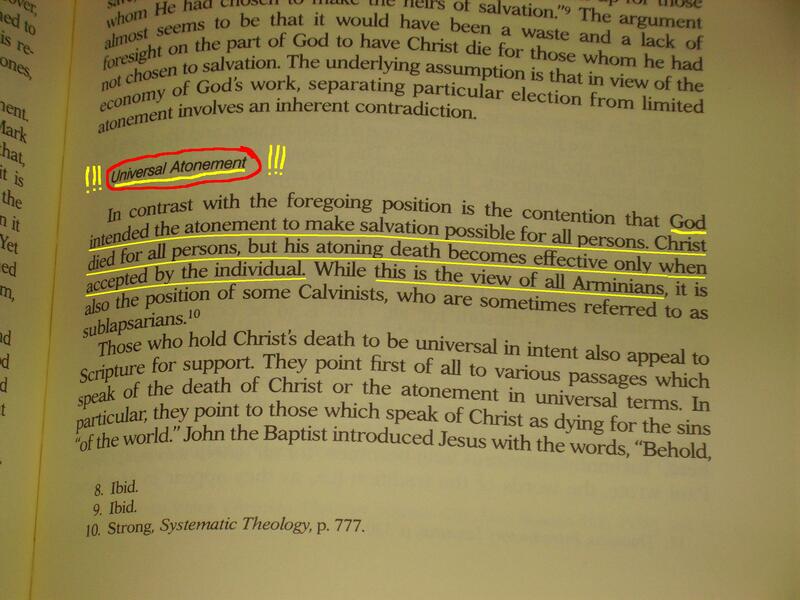 That is not how you said it with regard to Arminianism. I urge you to please be consistent’. Calvinist: ‘So if you don’t believe Calvinism is erroneous, why are you committing so much time of your life arguing against it? Isn’t it implied in any debate that you believe your opponent’s view is erroneous? It’s amazing how PC we have become’. Arminian: ‘It’s how you state this position. I would never say of Calvinism what you stated of Arminianism: “Any flavor of Arminianism is error”’. Today, nearly 500 years after Arminius’ death, many Calvinists consider him a heretic. They equate his doctrines with those of Pelagius, a fifth century Roman Catholic monk who taught that humans are born without original sin and can choose God through their free will. Pelagianism was condemned as heresy by several church councils, both Roman Catholic and Protestant. I cannot see any reconciliation between Arminians and Calvinists unless the free will response of human beings to the common grace of God is understood in responding to Christ’s offer of salvation. God’s drawing people to salvation is not under discussion. I, an Arminian, am convinced of the truth of what Jesus said in John 6:65, ‘This is why I told you that no one can come to me unless it is granted him by the Father’ (ESV). Based on the evidence available to me so far in my Christian journey, I support the major premises of Reformed or classical Arminianism. See the article, ‘What’s the difference between Reformed Arminianism and Wesleyan Arminianism? Three scholars answer’ (February 25, 2015). Reformed or Classical Arminians are those who espouse many of the teachings of Jacob Arminius. In fact, they were the Arminians who issued the Remonstrance to which the Synod of Dordt responded with its formulation of TULIP Calvinism. To his dying day, Jacob Arminius maintained he was Reformed and a promoter of Reformation theology. He was a minister of the Dutch Reformed Church until death. The accusations fly back and forth between Calvinists and Arminians with one blaming the other of error or heresy. Therefore, there is heat on both sides of this debate. I can’t see it being resolved soon – if ever – during our sojourn on this earth. There is no middle ground between Calvinism and Arminianism with regard to the three crucial doctrines about which they differ: election (conditional or unconditional), atonement (limited or universal) and grace (resistible or irresistible). I wish Lemke and others like him would read Arminian Theology: Myths and Realities where I argue that, whereas Calvinists and Arminians have much in common, there is no hybrid of them or middle ground between them. In fact, Arminianism IS the middle ground between Calvinism and Semi-Pelagianism! The statement at the foot of this article was, ‘This post is adapted from a transcript of a seminar from the 2007 Shepherds’ Conference, titled “Closet Calvinists”’. Available at: https://www.gty.org/resources/articles/10194 (Accessed 30 October 2015). The link to this article provided by Christianity Today was not available on 30 October 2015, but I have sourced it elsewhere online and have included it in this CT quote. This is from the link above, the Society of Evangelical Arminians, available at: http://evangelicalarminians.org/an-outline-of-the-facts-of-arminianism-vs-the-tulip-of-calvinism/ (Accessed 30 October 2015). For an explanation, see Rev Barry Gritters 2000, Reformed Churches of America (online), ‘T.U.L.I.P or The Five Points of Calvinism’, available at: http://www.prca.org/pamphlets/pamphlet_41.html (Accessed 30 October 2015). I’m OzSpen #453, Christian Forums, Soteriology, ‘Is rejecting Christ a sin?’ Available at: http://www.christianforums.com/t7755517-46/ (Accessed 9 July 2013). All unorthodox theology, on Christian Forums rules, can only be discussed in the directory, Unorthodox Theology. Christian Forums op cit, OzSpen #417. Ibid., but this is another Calvinist poster who is a moderator, Hammster #474. Since I’m not an IT whiz, I do not know if Hammster and griff are the same person. A person has investigated this on the forum and has stated that people have multiple identities on this forum. Ibid., OzSpen #475. This was a response to griff. Ibid., OzSpen #476. This was a response to Hammster. Ibid., another Calvinist’s response, nobdysfool #480. Ibid., Hammster #487. This is in response to my questions as OzSpen #484. Ibid., OzSpen #486. This was a response to Hammster. Steve W. Lemke is one of the editors of Whosoever Will: A Biblical-Theological Critique of Five-Point Calvinism, David L. Allen & Steve W. Lemke eds. Nashville, Tennessee: B&H Academic, 2010. Lemke is Provost and Professor of Philosophy and Ethics at New Orleans Baptist Theological Seminary. See HERE. This is Roger E Olson’s 2006 publication by Downers Grove, Illinois: IVP Academic. Roger E Olson 2011. ‘Is there a middle ground between Calvinism and Arminianism?’ Patheos, June 4. Available at: http://www.patheos.com/blogs/rogereolson/2011/06/is-there-a-middle-ground-between-calvinism-and-arminianism/ (Accessed 30 October 2015). Copyright © 2015 Spencer D. Gear. This document last updated at Date: 17 January 2018. This entry was posted in Arminianism, Calvinism on 30 October 2015 by spencer. Why should an atheist follow Jesus? I am very happy with my life and live it similarly to most reasonable people in the community. Why should I follow anything he says? 1. Who is God? He is the absolutely holy (Leviticus 19:2) and righteous/just (Deuteronomy 32:4) God. This last verse confirms that He is without sin or iniquity. 2. This God declares the nature of all human beings including you and me: ‘None is righteous, no, not one; no one understands; no one seeks for God’ (Romans 3:10-11). This unrighteous nature of all human beings brings consequences, ‘For the wages of sin is death [God’s understanding of death], but the free gift of God is eternal life in Christ Jesus our Lord’ (Romans 6:23). Unless you understand your sinful state before God, you will go on living your ‘very happy’ life according to your current worldview. 3. For those prepared to acknowledge who God is and their true condition before him, God offers a new beginning through confession of sin and trust in Jesus Christ alone for salvation. ‘For God so loved the world, that he gave his only Son, that whoever believes in him should not perish but have eternal life’ (John 3:16). 4. How can it happen for you, me and anyone else? Repentance and faith in Jesus Christ for salvation! Repentance means that we have an inner sorrow for sin; we renounce it, and have a commitment to forsake sin and live in obedience to Christ. ‘For godly grief produces a repentance that leads to salvation without regret, whereas worldly grief produces death’ (2 Corinthians 7:10). 5. 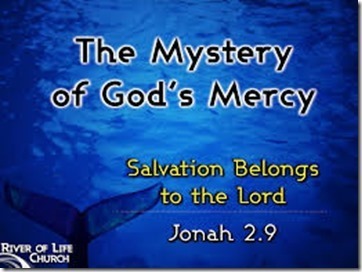 This leads to new life in Jesus Christ and the amazing experience of knowing that a person’s sins are forgiven or blotted out. 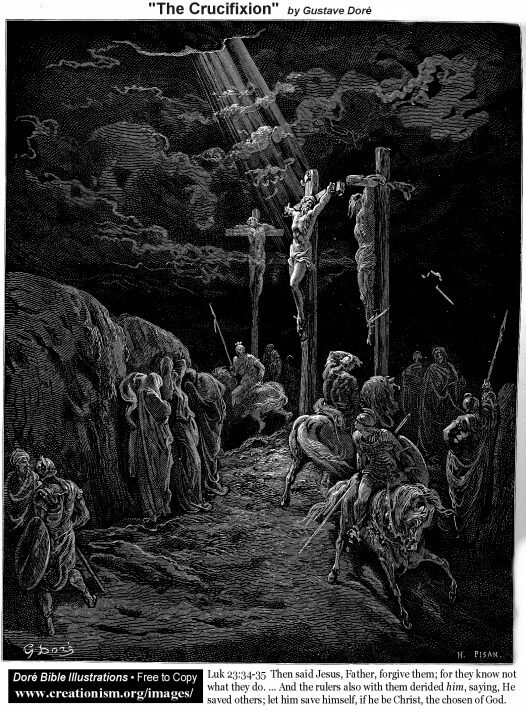 ‘Repent therefore, and turn back, that your sins may be blotted out’ (Acts 3:19). My background sounds as though it was very different from yours. I was raised in a home where I went to Sunday School and church, but I was just as much a sinful rebel against God as anyone I could meet on the street. I don’t think, in your present understanding, that you will understand the amazing release that comes when I experienced my sins forgiven by God and receiving new life in Christ. Even if you had a genuine understanding of Jesus as God, which you do not currently have, that will not enable you to experience the joy of sins forgiven and new life in Jesus. Discussion with you is next to useless and you have mentioned Leviticus and the nature of your god. Here are some other parts of this god’s nature from Leviticus (KJV version). As you know, there are Christians promoting ‘dominionism’ as a way of governing countries. (Are you one of them?) This means following the Bible as is written. Scary stuff. And check out Leviticus 24:10-16 which is about killing blasphemers. All this is shades of Islam don’tcha think. As I said, all religions make the same mistakes. Do you agree with your Lord’s adjudications as above or do you only ‘choose’ the nicey bits from the Bible? Seems Yahweh doesn’t mind a bit of hissy-spit killing to keep the attention of his people focused. Other Bible writers have their own version of this god’s mayhem and absurdity. I really don’t need or warrant your condescending remarks about me not being ready for your particular god. No, I’m not ready for any of the thousands of gods, but only because I have not surrendered my mental integrity to indoctrinated nonsense. He is the God of love and judgment. We see this even in the human family. The family that loves will discipline the children. This could be regarded as a judgment on children’s misbehaviour. On Line Opinion, ‘Merry Christmyth from the Atheist Foundation of Australia’, Posted by Atheist Foundation of Australia Inc, Saturday, 22 December 2012 11:22:12 AM, available at: http://forum.onlineopinion.com.au/thread.asp?discussion=5547&page=25 (Accessed 25 December 2012). Ibid., Posted by OzSpen, Tuesday, 25 December 2012 9:45:21 PM (this post is in two parts as On Line Opinion only allows 350 words in each post), available at: http://forum.onlineopinion.com.au/thread.asp?discussion=5547&page=36 (Accessed 25 December 2012). This link was inserted by me, Spencer Gear, to help the uninitiated to understand dominionism, which is not a position I advocate. On Line Opinion, ibid., Posted by Atheist Foundation of Australia Inc, Wednesday, 26 December 2012 8:52:53 AM, available at: http://forum.onlineopinion.com.au/thread.asp?discussion=5547&page=38 (Accessed 26 December 2012). Ibid., Posted by OzSpen, Wednesday, 26 December 2012 9:24:24 AM, available at: http://forum.onlineopinion.com.au/thread.asp?discussion=5547&page=38 (Accessed 26 December 2012). This entry was posted in Uncategorized on 30 October 2015 by spencer. ‘So put away all malice and all deceit and hypocrisy and envy and all slander. Like newborn infants, long for the pure spiritual milk, that by it you may grow up to salvation– 3if indeed you have tasted that the Lord is good’ (1 Peter 2:1-3 ESV). On June 2, 2006, I had the honour, sad though it was, to conduct the funeral service of my father-in-law, who had died at age 95. Dad had lived with Desley and me for the last 12 years of his life. During our conversations over the years he had made it clear that he wanted me to conduct the funeral if I were alive, and that he must not be buried from the evangelical church in which he was raised. He attended that church, only because of his wife’s commitment, until 1992. But he was adamant. Do not bury me from that church. I want nothing to do with that church, even at my death. Why? His mother died when he was 8 years old from the influenza that swept the world in 1919. His father remarried and his step mother would go to this evangelical church and praise the Lord with hallelujahs and other spiritual gestures. But during the week she would treat the five step-children like second-class citizens. She was catty towards them and when her own two children were born, these 5 step-children got used clothes while her two children got the new clothes. This was an example that turned Dad right off the Christian faith because of the stark difference between what a Christian woman said she believed and showed in church, but the radical difference in the household. This was gross hypocrisy and Dad lived with that nasty memory for 87 years. He never wanted to have anything to do with the God of his catty, hypocritical step-mother. You and I know that Dad will stand before God at judgment, on God’s terms. His step-mother will not be an excuse, but this matter of the Christian life and the gap between what we say we believe and how we live, is how the apostle Peter begins the second chapter of I Peter. From I Peter 1:13 to 2:3, it deals with what it means for Christians to be holy. What does holiness mean? We need to be reminded of the context of 2:1. It begins with “Therefore.” What’s it there for? It is based on what has preceded this verse. v. 25: ‘The word of the Lord stands forever. And this is the good news that was preached to you’. Therefore, what are we do as people who are genuinely Christian and who stand on the eternal Word of God? Paul uses the word, “all”, three times in this list. If we are to be growing Christians, there must be zero malice in our lives; zero deceit; zero hypocrisies, zero envies and zero slanders. All of these apply to our relationships with other people. This is where people will notice the most important change that comes into your life when you become a genuine Christian. People hurt us – malice grows easily. When we don’t want people to know certain things about us – deceit comes along. Are our lives totally, 100% consistent? Mine isn’t, even though with Jesus’ help I try my best. As for envy, ever thought about that new dress, car, house, etc? When we don’t like the personality of someone, it’s easy to slander. This is a tough one, especially when there are those who have hurt us – hurt us deeply. This is totally comprehensive – all malice must be gone if we are to be truly Christian in our living. If we express malice in our relationships with others our love for others disappears. This Greek word that is translated “malice” means more than what we understand in English. “Malice [in English] is a desire to inflict pain, harm, or injury on [other human beings].” Most often we do this with our words but it can lead to physical injury of other people in our anger. But this word does not mean viciousness (although there should be no viciousness in the language and deeds of a believer), the word (kakia) is “a special form of vice. . . the evil habit of the mind.” This is the kind of evil thinking that leads to all kinds of evil actions. It means “baseness, meanness, all good-for-nothingness, disgracefulness.” ‘Baseness’ is not a word we use much these days, but it means, ‘morally low, … dishonorable; mean-spirited; selfish; cowardly’. “Honor your father and your mother, so that you may live long in the land the Lord your God is giving you.” If you have dishonoured your parents, it must be gone if you are really a Christian. This becomes especially touchy if a Christian’s father has physically the mother; if the mother has committed adultery; if father or mother has sexually abused another; if one parent has become homosexual, etc. The Scriptures require you as a Christian to get rid of any dishonour towards your father or mother. You must not endorse any such behaviour. You must oppose such evil actions, but they are still your parents. Honour your father and your mother does NOT mean you endorse their behaviour. Get rid of all dishonour of mother and father. Let’s pick up on a couple of the other 10 commandments. “You shall not steal.” What do you do with the boss’s time? Are you an honest worker? Do you give an honest week’s work for your pay, or do you steal your boss’s time. It’s so easy to take little things from your place of work. That’s stealing. “You shall not give false testimony against your neighbour.” Gossiping about another is too often the way of life. Sometimes that’s false testimony. That kind of baseness must be gone from the believer. Let’s put this in 21st century language: “You shall not covet your neighbour’s wife or husband, or any of your neighbour’s circumstances, including the cars your neighbours drive, the house they own, the TV, computer, goods of any sort that they own.” If we covet human or physical things, we are not growing up in the faith. They will hinder growth. The only thing we should want to covet is a better relationship with Jesus which will mean better relationships with other human beings. If you want to see BIG TIME deceivers in action, watch a Rugby League match. They are called ‘dummy passes’. They are made to look like a pass, a bait for a tackle, but they dummy and don’t throw. It has been described as ‘where the ball carrier moves as if to pass the ball to a team-mate, but then continues to run with the ball himself; the objective is to trick defenders into marking the would-be pass receiver, creating a gap for the ball carrier to run into’. In 34 years of counselling, the last 17 years full-time in secular agencies, I encountered more than my share of Christian parents, youth and children who were deceivers in how they relate to one another. Nothing undermines marriage and family as much as parents and children who are not up front and honest in the family. Deceivers in a family devastate family unity. Parents and couples? It is critical that you identify and call to accountability those who are deceivers. How have you been deceiving your parents? How have you been deceiving your spouse? The Scriptures are adamant: Stop it immediately. Confess to God and to that other person. Yes, confess to the other. Find someone to whom you can be accountable. I’ve already mentioned this in my own extended family, of how a step-mother’s hypocrisy left a permanent mark for 87 years on her step-son, my father-in-law. We as the people of God need to talk about how our hypocritical living affects us personally, the family, relationships in the church, and relationships with others. Talking about it is not enough. It must be gone in all relationships. There must be no difference between what we say we believe and the way we live. If Jesus doesn’t make a difference in relationships, I have to question the person’s salvation. I only wish my father-in-law’s step-mother had been challenged on this hypocrisy by Christian people, including the pastor. There’s more bad behaviour that must be gone when we become Christian. We know what this means. Or do we? Get rid of “all speaking against others that runs them down.” Remember what Jesus said in Matt. 5:22? “I tell you that anyone who is angry with his brother will be subject to judgment. Again, anyone who says to his brother, ‘Raca,’ [an Aramaic term of contempt] is answerable to the Sanhedrin. But anyone who says, ‘You fool!’ will be in danger of the fire of hell [Gehenna].” ‘Raca’ and ‘fool’ are words of slander. Slander has no place in the Christian life. Imagine what would happen if Christians were known for no baseness, no deceit, no hypocrisies, no envies and no slanders? Do you think that a few people would we attracted to our Jesus because of the change in US? C. If you are to grow spiritually, you must crave something (v. 2). We not only have to get rid of some things, we need to deal with some growth issues. a. Live like newborn spiritual babies. Remember to whom Peter is writing! In 1:1, “To God’s elect, strangers in the world, scattered throughout” Asia Minor (which is Turkey today) – he mentions the regions by name. This is not teaching just for new Christians, but for all believers: Live “like newborn [spiritual] babies.” Peter is not contrasting solid spiritual food for grown Christians with spiritual milk for new Christians. Let’s pause for a moment to note how easy it is for us to have access to spiritual milk and meat today. We have ready access to the Scriptures in our own language and we can read them (well, those of us who are literate). It was not like that in the first century. The entire NT had not yet been written. The OT was not freely available. Many of us fail to realise that it took Guttenberg’s remarkable printing press to make the Bible available to so many. In the first century, how would most people get this spiritual milk? Would it be through oral tradition and teachers of the Word or by some other means. Alan Millard has researched this area and he wrote an article published in 2003 for The Biblical Archaeology Society titled, ‘Literacy in the Time of Jesus: Could His Words Have Been Recorded in His Lifetime?’ Concerning the time of Jesus, his research concluded that ‘not everyone could read and write. And some who could read were not necessarily able to write. But archaeological discoveries and other lines of evidence now show that writing and reading were widely practiced in the Palestine of Jesus’ day. And if that is true, there is no reason to doubt that there were some eyewitness records of what Jesus said and did’ (end quote). In Roman Palestine the situation was even bleaker. The most thorough examination of literacy in Palestine is by a professor of Jewish studies at the University of London, Catherine Hezser, who shows that in the days of Jesus probably only 3 percent of Jews in Palestine were literate. Once again, these would be the people who could read and maybe write their names and copy words. Far fewer could compose sentences, paragraphs, chapters, and books. And once again, these would have been the urban elites. All of this is to demonstrate that for first century Christians who didn’t have ready access to Scripture and many couldn’t read, it was difficult to gain access to ‘spiritual milk’ but Peter still exhorted them to do so. In Matt 18:1, it states that the disciples came to Jesus and asked, ‘Who is the greatest in the kingdom of heaven?’ Peter understood the meaning of Jesus’ reply in Matt. 18:2-3, “He called a little child and had him stand among them. And he said: “I tell you the truth, unless you change and become like little children, you will never enter the kingdom of heaven.” Peter carried this further to apply it to all Christians: Live like newborn spiritual babies. Peter is saying that all Christians must live like new spiritual babies, with a craving for “the milk of the Word” (KJV). But also remember something that is taught in 1 Cor 3:2 that we need to move from ‘milk’ to ‘solid food’ when we are ‘ready for it’. And Heb 5:12-13 teaches that the ‘basic principles of the oracles of God’ are ‘milk and not solid food’. We do need to move from milk to meat of the Word. All Christians around the world are commanded to crave the milk of the Word. For some, that will place them in jail, losing fingernails; for others they lose their lives. Yet we in the West have such easy access to the Word of God but we often treat it so casually. God commands: Crave the sincere milk of the Word. Why do you need to crave the milk of the Word? Surely that’s stated as clearly as it can be. If you are to grow spiritually and mature in your salvation, you must crave, long for, the Word – and spend time with God in His Word. Please understand that to “grow up in your salvation” does mean you cease to be new-born babies and grow up into adults. But Peter speaks of childhood and growing into adulthood as God’s ideal for our growth. We are to be like babies, always longing for God’s milk in the Word so that we grow in salvation. That is our destiny, the design of our faith. If you are not craving the Word and spending time in it, you will NOT grow in your salvation. We can give all kinds of excuses for not spending time in Scripture, but in this day of laptops, mobile phones, tablets and Ipads, there really is little excuse for not being able to read the Bible, even when on public transport. Do you have a method of reading through the Word of God? You need exposure to both OT and NT. It’s the total Bible and you will not grow up without an understanding of both OT and NT. For me, it takes 2 years to read through the Bible, reading 2-3 chapters a day. There are 1175 chapters in 66 books in the Bible. You can get through the entire Bible in a year if you read 3.2 chapters a day. What’s God’s view on marriage, homosexual marriage, defacto relationships, rebellious children, and unfaithfulness in sexual relationships? How does God view war, abortion, euthanasia and suicide? What about submitting to government – local, state and federal? What does God say? Right now the federal government is calling for submissions on euthanasia. We urgently need to send a submission, even if only a few lines. I can provide you with details. You will never get God’s understanding of all of life without a good understanding of God’s Word. To grow, crave and spend time in the Word. One of the most damaging things that is happening in our churches is that preachers no longer want to systematically preach through the Bible. I believe we need to do that to be obedient to what Paul said to Timothy in 2 Tim. 4:2: “Preach the Word; be prepared in season and out of season; correct, rebuke and encourage—with great patience and careful instruction.” I hear many preachers who preach about the Word but few who actually preach what the actual Word says. We get lots of preachers’ opinions that don’t seem to be directly related to the Word. I’m not talking about hints about how to apply the Word of God. “Preach the Word” is what Paul told the young pastor, Timothy. I find that in my work discipline of counselling, Christians are being programmed by worldly thinking. Read some of the Christian counselling books on integrations, that believe in integrating (read: amalgamating) the world’s view with God’s view. You get what Martin & Deidre Bobgan call, “psychobabble.” It is not God’s word. When these folks sit down with people to offer Christian counselling, there is no guarantee they’ll get counselling that is biblical. There is every likelihood that they’ll get secular ways of thinking with a few Bible verses thrown in. You will never ever be motivated to grow in your salvation and to get to the point of craving the Word of God, if you have not tasted that the Lord is good. Peter is asking his readers to recall their Christian experience with the Lord. Perhaps Peter is reminding us of the Psalmist in 34:8, “Taste and see that the Lord is good; blessed is the one who takes refuge in him” (NIV) What is true of God is true of Jesus. Please note what this does NOT say. It does not encourage us to “taste” or experience God. We are to taste “that the Lord is good.” The Lord is good in making salvation available to us, but he is especially good in making the precious milk of the Word available so that we may grow in our salvation. You will especially taste the Lord’s goodness when you read the word. If you want a correct picture of what’s happening in our world and want to know for sure where it is heading, crave the pure milk of the Word and grow in your salvation. Is this world going to go on forever? What’s the end of the world going to be like? Why is there so much evil in the world? When I watch the evening TV news, I have to ask: Where does all of this violence and sadness come from? Where will the Christian and non-believer be one minute after death? You won’t find ultimate answers to any of these questions other than from the Bible – the Word of God. Why do some treat the Bible as though it is just another book? Why don’t we spend more time with God in reading the Bible? Because we are disobedient Christians. The consequence is that we will not grow if we do not do this. Have you tasted that the Lord is good? Do you know the Lord’s goodness? Since the pure milk of the Word is the place where you will be helped to grow up in your salvation, it should not be surprising that some liberal church leaders and the secular world attack the Bible. Every one of those points can be soundly refuted by examining the Scriptures and by the research of biblical scholars. But have a guess who the mass media will seek at Easter and Christmas times? It won’t be you, me or scholars who support the Bible. But they seek out these radicals from within the church who reject what the Bible says. “Therefore, rid yourselves of all malice and all deceit, hypocrisy, envy, and slander of every kind. 2Like newborn babies, crave pure spiritual milk, so that by it you may grow up in your salvation, 3now that you have tasted that the Lord is good”. Will you believe God and act on His Word and so grow in your faith? That’s the challenge I bring to you today. Are you getting rid of all baseness, all deceits, all hypocrisies, all envies, all slanders in your Christian life? Are you craving the pure milk of the word as newborn babies? Do you urgently want to grow in your faith? Do you know the Lord? Have you tasted the goodness of the Lord? Simon J. Kistemaker 1987, New Testament Commentary: Peter and Jude, Evangelical Press, Welwyn, Hertfordshire, p. 31. Richard C. Trench 1953, Synonyms of the New Testament, Wm. B. Eerdmans Publishing Company, Grand Rapids, Michigan, p. 38. R. C. H. Lenski 1966, Commentary on the New Testament: The Interpretation of the Epistles of St. Peter; St. John, and St. Jude, Hendrickson Publishers, Peabody, MASS, p. 77. Dictionary.com, ‘baseness’, available at: http://dictionary.reference.com/browse/baseness?s=t (Accessed 15 August 2014). ‘Glossary of rugby league terms’, Wikipedia, 29 May 2014, available at: http://en.wikipedia.org/wiki/Glossary_of_rugby_league_terms#dummy_pass (Accessed 15 August 2014). Lenski used the word, “Babe,” and I have used baby for all “babe” uses in this passage. Alan Millard 2003. Literacy in the Time of Jesus. Could His Words Have Been Recorded in His Lifetime? (online). Biblical Archaeology Society, Jul/Aug 2003, available at: http://www.freerepublic.com/focus/religion/1573658/posts (Accessed 15 August 2014). Ehrman, Bart D. (2012-03-20). Did Jesus Exist? : The Historical Argument for Jesus of Nazareth (Kindle Locations 702-712). Harper Collins, Inc.. Kindle Edition (cited at: http://blogforthelordjesuscurrentevents.com/2012/04/02/bart-ehrman-on-literacy-in-the-first-century/, accessed 15 August 2014). Brian Edwards 1976, God’s Outlaw: the Story of William Tyndale and the English Bible, Darlington, England: Evangelical press, p. 93, cited in The Voice of the Martyrs, April 2006, p. 9. Voice of the Martyrs, April 2006, p. 9. Todd Nettleton, “The One Who Got His Fingernails Taken,” ibid., p. 10. Spong, J. S. 1994, Resurrection: Myth or Reality? A Bishop’s Search for the Origins of Christianity, HarperSanFrancisco, San Francisco, p. 235.
the Heart of Contemporary Faith, HarperSanFrancisco, San Francisco, p. 9. Williams, J. K. 2004, ‘It’s not good enough for us’, The Age (Melbourne, Australia), [Online], January 1. Available at: http://www.theage.com.au/articles/2004/01/18/1074360629928.html [Accessed 10 June 2006]. This is an edited extract that he preached on January 18, 2004. Mack, B. L. 1995, Who Wrote the New Testament? HarperSanFrancisco, San Francisco, p. 15. Funk, R. W., Hoover, R. W. & The Jesus Seminar 1993, The Five Gospels: The Search for the Authentic Words of Jesus. Macmillan Publishing Company (A Polebridge Press Book), New York, p. 5. Copyright © 2015 Spencer D. Gear. This document last updated at Date: 14 October 2015. This entry was posted in Uncategorized on 14 October 2015 by spencer.